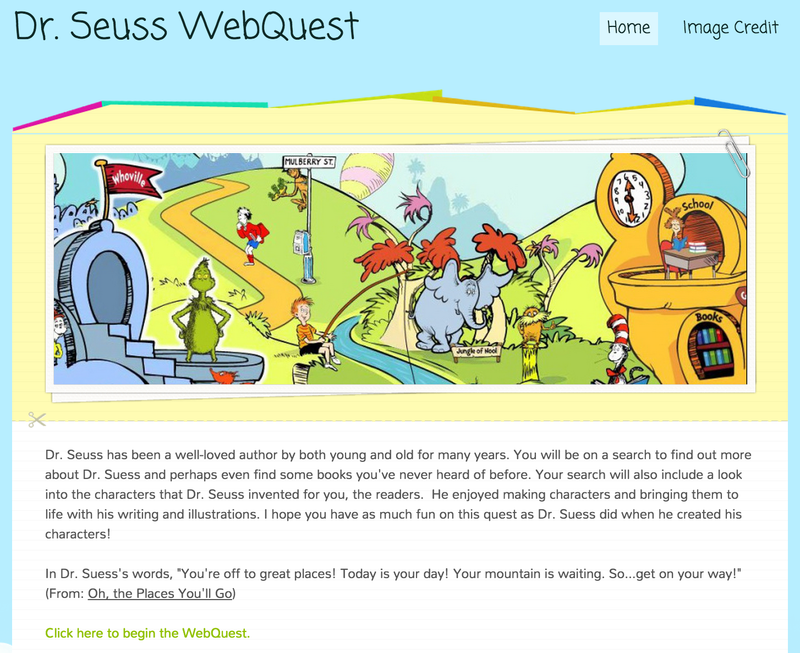 The link title “All About Dr. Seuss” on the page where you begin the Dr. Seuss Webquest is currently broken. Can it be fixed? This is a great resource for Dr. Seuss but I can’t completely make use of it if that link stays broken:(. Thanks for letting me know. I will find a new link that works and replace it this week. Thank you! My students had such a fun time with this in technology class. We are a google school so the students completed everything with their google apps. I am so glad to have found your blog! It is a great resource for me.